I guess you mean 757, 767 and 787. The 777 was painted with ANA livery, and it's one of my favourite!! Btw, those you comment were the next in my todo list, but I'm starting another project so I'll only paint more planes as an unusual work, as the plane pak has now the "stand by" status. Oh there is a 777, its also one of my favorite Boeing (777, 757). The 787-8 could be the optimal and A350-900 or 1000. Thanks x7657. Link now fixed. Well, I actually have some work on old style industries, but I've begun planning the next moves on planes. 1) Light passenger transport: up to 99 passengers. 2) Medium passenger transport: 100 to 220 passengers. 3) Large passenger transport: 221-399 passengers. 4) Huge passenger transport: 400 or more passengers. 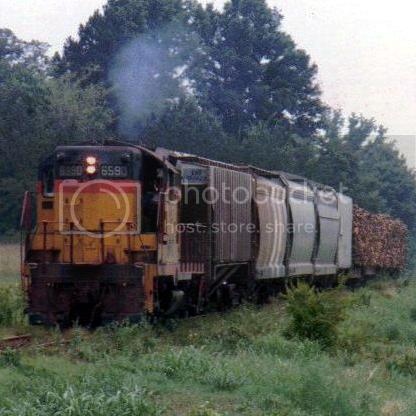 Light passenger from 1980 is insufficient (zero! ), so at least a couple of small jets will be drawn for modern age (+1980). Large passenger transport from 2007/8 is enough, but can be complemented with one/two additional crafts. For light jets I can think of a Bombardier CRJ series (which was suggested in the forum, don't remember by who), the Embraer 145 or 170, and the BAe 146. For large transport I think (obviously) of the Boeing 757/767/787 and the Airbus A350. I suggested CRJ900, a nice plane i enjoyed using (although the company was awful and eventually bankrupted). For medium transport do we have Airbus A319/320 and Boeing 737 (with different series and capacity)? There is only one plane of each series at the moment; maybe later on, but it isn't a must right now. Medium transport is covered enough through the timeline (2 different units to choose from), although it could be improved with one/two additional vehicles. PS: I changed the medium-liner chart, which was wrong. Sorry. Ok, the Bombarier CRJs are under work... needs post-processing, like special colors, alignment, etc. CRJ-200: 50 Passengers, available from 1992 until end of game. CRJ-900: 86 Passengers, available from 2001 until end of game. I like them.. I was really excited when I saw the top one there, thought it was in Delta livery. In any case I just discovered your plane pak the other day, and I really love it! Just need larger plane loading areas now. wow, bravo! just ready to hop in! Glad you like them. Actually the CRJ-200, on top, is in Convair livery (owned by Delta); the CRJ-900 uses the "jetSense" technology colour schema, by Bombardier. Now is the time for the BAC One Eleven 200. Built from 1963 to 1989, had capacity for 89 passengers and it came from Hunting and Vickers jet designs to replace the Viscount. Painted with green Braniff International color scheme. These are the latest generation of brazilian jets for medium short range, low capacity lines. This two models were introduced very recently, between 2003 and 2004. The Embraer E-Jets is made of two families: the E-170 and the E-190. Hope you enjoy them! I especially like these smaller passenger jets. They were what I needed in the last game . Now I have to start considering building airports into the present scenario. Please allow me to make a suggestion: Soviet/Russian passenger jets (Antonovs, Illyushins, Tupolevs, Yakovlevs). While I might not really want to fly on these planes, I think they are great for variety and fantasy value. the Boeing 757 is medium not large transport. How about Saab 340 as a 80's light transport, MD-80 would be a nice 80's plane also. MD-80 would be a nice 80's plane also. Well SAS also files 42 MD-80 planes still today, plus the 5 modern MD-90 flown by their Finnish subsidiary Blue1. Alitalia has 24 left. But both has been the worlds 3d (al) and 4th (sas) largest MD-80 operators behind AA and Delta. And yes its a great plane, if you sit in the front like I have on both MD-80/90. I mostly travel (short haul) on the Embraer E-170/ATR 72 or A320 and some times with the MD-90 or Saab 2000 all nice planes. http://richard.ferriere.free.fr/3vues/tupolev_tu154_3v.jpg - I am sorry for only link but picture behind this link is quite great. And all: please, don't think this request is based on what happened today (10.4. 2010) at about half past nine of CET (Central-Europe Time) close to Smolensk. The French president Nicolas Sarkozy had once again enjoyed this to use our feelings to increase his popularity -_-" (which is very very low). This man is really an as*hol* , as every politician he abused the French, and he is still doing that. It's sure that he won't be still president at the next elections. @VaclavMacurek: That would be a good addition to a plane pack. I feel it's missing some eastern planes. But then again it depends upon Zeno's work! If I am not wrong, at this time only Ilyushin IL-76 "Candid" is present in planes' depot. And so I have to agree with Aquel ... more planes from Russia (mainly from Soviet Russia) are invited. Soon will be added other ones. We have at the moment an airplane pak that is fully playable through a complete timeline, so my time will be focused in other projects. Of course some more planes could be added, but as I say it's a priority matter. Btw, if someone is interested on painting any airplanes, ask me and I will gladly explain details on scaling, painting and coding, to help fitting them better into the current pak. am I correct in recalling that you make these in Blender? If so, could you perhaps upload your .blends so that others can tinker with them to produce different liveries and even completely different aircraft? It is much easier to produce new ones from existing models than to start from scratch. 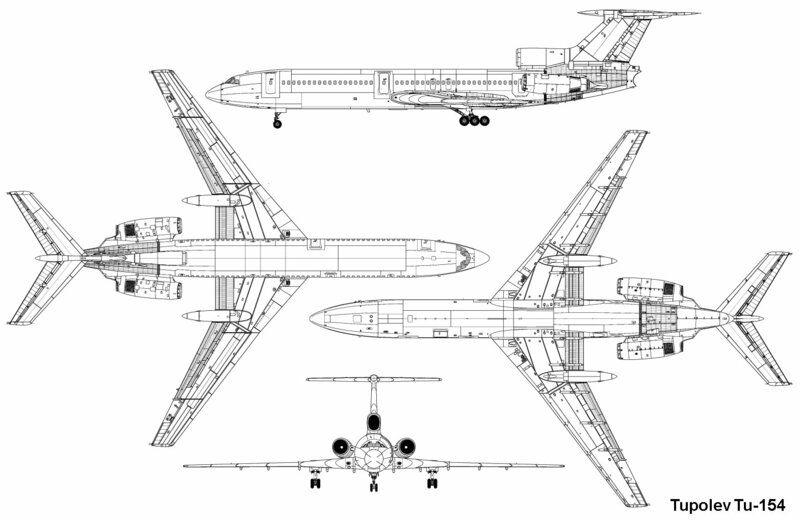 Tupolev 154 would be possible to create by tweaking the current Boeing 727. I've used the same technique for lots and lots of railway graphics for Pak128.Britain - it is surprisingly effective and efficient! 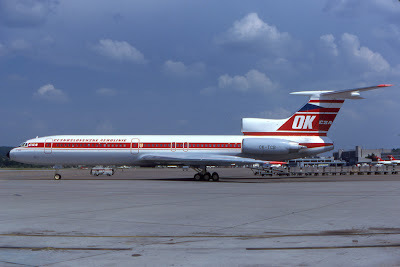 To make Tupolev 154 by improving of Boeing 727? You caused I am rolling on the floor laughing. They are too much different. It's not as absurd as it seems: I'm not particularly familiar with those specific aircraft, but I've done it with trains of very different types, retaining only the basic sizes and shapes. It saves a great deal of work. So ... I beg your pardon but could you show it? It seems be very interesting. All the graphics here were made by that method. Both planes have wings, engines, fuselage, and a tail. You can save a lot of work in blender by keeping these components the same (or changing their position, dimensions slightly) and get a different vehicle for minimal work. A lot of the different pak128.Britain vehicles were created this way (including 90% of the buses and trams!). After some other searchings I found they are not so different as it seemed before. Is the complete pak still available for download? The link on the first post of this thread doesn't seem to go to the right place. this addon is included in pak128, isn'it ?